Although this butterfly mural was painted in Stoney Creek, Ontario, I also sell adorable kids wallpaper murals that ship for FREE in Canada and the USA. They are fast and easy to hang and can be peeled right off the wall when you’re ready for a new design. Scroll to the bottom to see some butterfly wallpaper designs. Thinking of adding a butterfly mural to your kids bedroom? 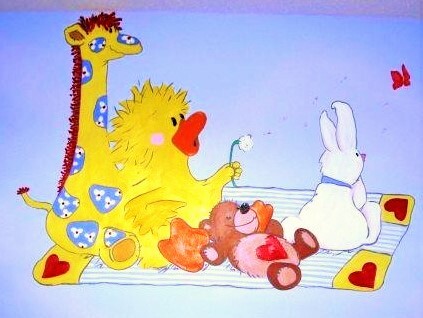 Here are some pics of a mural I painted for a baby so you can get some ideas for your own space. Hailey’s mom, Carla, absolutely loved her crib bedding and the vinyl decal that came with the set. The only problem was that the decal kept falling off into the crib. 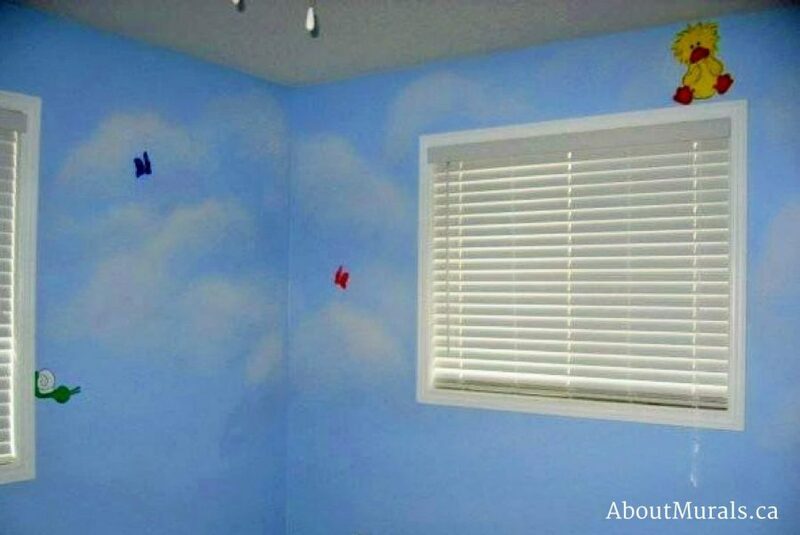 She had me replicate the decal, only larger, and also paint clouds and butterflies throughout the room. 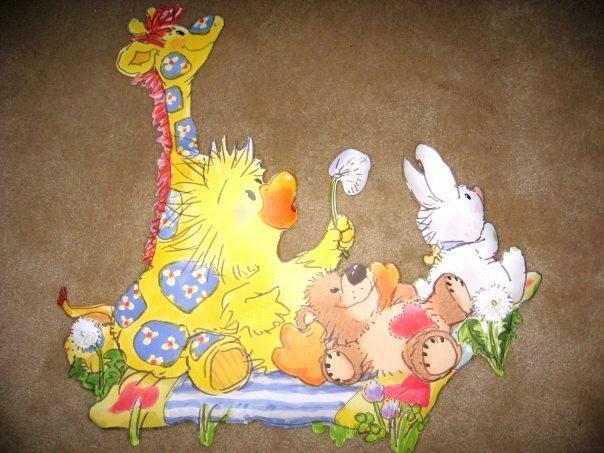 After painting the giraffe, duck, teddy bear and bunny rabbit on the picnic blanket, I went through the room painting clouds using a mixture of three colours of paint and a glaze to give a fluffy look. I also added sweet butterflies and snails to the butterfly mural. 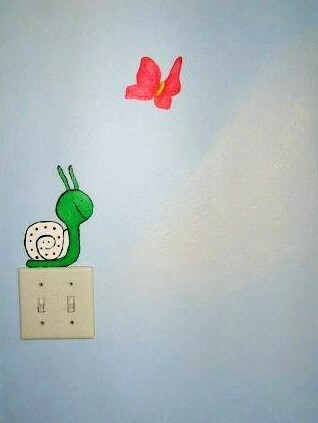 I painted a sweet snail on top of a light switch – a fun way to teach kids to turn off their light! Still thinking of a butterfly mural and like my style? Let’s work together! I have been painting kids wall murals, from Toronto to Niagara Falls, since 2005. I’ve even painted one for a Mike Holmes TV Show! Or…Check Out Some Butterfly Wallpaper Murals! Join my newsletter community and I’ll send you all the latest promotions and maybe even a hot coupon code or two!